It is no surprise that I am not excited by the proposal to focus AP History in the United States on the period after 1450. Overall I agree with many of the comments made in T. Greer’s tweet thread. Though I have a concurrent opinion with many history teachers who oppose the change, my opposition is for different reasons. To be frank I don’t care about “showing our black and brown and native students that their histories matter—that their histories don’t start at slavery”. But this old-fashioned biased perspective still gave the nod to the importance of objectivity in some deep way. And though I was an immigrant who was routinely asked “where I was really from”, there was also an understanding that I needed to know this particular Union history, because it was the history which I inherited. It was our history, which set the objective preconditions of the world in which we lived. The sharply critical cast of modern history teaching has its roots in this fundamental understanding. History may often have had propagandistic overtones, in that it inculcated, but the facts still mattered, and sometimes they were at counter-purposes to the narrative (e.g., the Abolitionists were clearly in the minority even in the North; good history teachers didn’t lie about this). The idea that one’s history, “their” history, is rooted in descent is common sense. But it’s also an idea which brings together frog-Nazis and Critical Race Theorists. Because of the closeness of the past few hundred years, the histories will be contested on the grounds of ideology. All narratives are contested, but emotion and effort vary in the contestation. The way to push through the contestation is to flood-the-zone with facts, with robust models. But this isn’t feasible for high school students, many of whom simply want to obtain a good AP score so they never have to take a history course again. Rather, I think history before 1450 is critical not because it is relevant to a diverse student body due to genealogical affinity, but because common human universal themes are easier to perceive in more distant peoples whose actions and choices don’t have as strong a direct connection to the lived present. Consider the Classical Greeks. It is reasonable to assert that the genesis of the West as we understand has to be traced at least in part to the Ionian flowering of the 5th century, and Athens in particular. But is not reasonable to make Classical Greeks a stand-in for modern Europeans, whose Christianity (at a minimum culturally) would be alien, and whose origins are from peoples who the ancient Greeks would term barbarians. The Classical Greeks are profoundly alien to moderns, rupturing excessive identity, though that didn’t stop 19th century Romantics! Athenian democracy is very different from the modern democracies, with its participatory character and the large class of excluded residents. But Athenian democracy, and Classical Greece more generally, also highlights deep universal aspects of the human condition. It speaks more forcefully to man students because of the mental clutter of the past few centuries, and their ideological baggage, are removed from the picture. 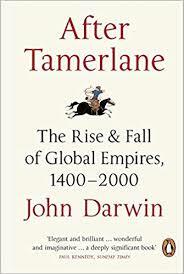 Additionally, cross-cultural comparisons of similarities and differences in the ancient and medieval world are useful because they are less overshadowed by the “Great Divergence”, and the post-1800 European breakout. 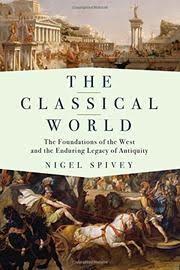 While the world before Classical Greece was one of the strange and isolated polities in a vast barbarous world, the world after 1450 points strongly in our mind’s eye to a world where Europe occludes our entire view. The problem is not slavery, because the age of European supremacy saw the abolition of slavery. Obviously, even the period before 1450 can be fraught. Consider the rise of Islam, and the crystallization of the West as Christian Europe in tension with the rising civilization to the south, and the receding pagan wilderness to the north and east. There are plenty of opportunities for debate, disagreement, and ideological axes to grind. But contrast the same argument around the Arab-Israeli conflict or Sykes-Picot Agreement. The fact is that pushing the past further back into the past muddles modern preoccupations. And that’s a feature, not a bug. This week on The Insight we talk to Patrick Wyman of Tides of History. Patrick is now a professional podcaster for Wondery, but I got to know him originally through comments on this weblog. A historian of Late Antiquity, we originally encountered each other in 2010 after I had just finished a period where I was originally interested in the topic of his professional study, and he was interested in paleogenetics. As Patrick said before we began recording, this podcast was a long time in coming. More precisely, the time is right, and it will get more right. More and more preprints like Amorin et al.’s Understanding 6th-Century Barbarian Social Organization and Migration through Paleogenomics will be coming out in the next few years. Ancient DNA extraction is cheap enough now that it will be used to explore historical lacunae, for example, what happened in sub-Roman Britain? 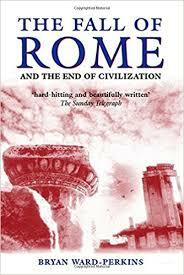 To get a sense of the period that we talk about in this podcast, I would highly recommend first The Fall of Rome: And the End of Civilization. This is a materialist treatment whch makes clear how thoroughgoing the collapse of economic production was across much of the Roman world. 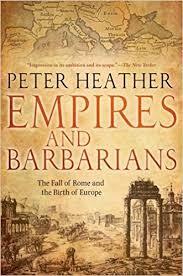 Then, Peter Heather’s Empires and Barbarians: The Fall of Rome and the Birth of Europe, anticipates some of the work coming out of genetics. Heather at the time was making the case that many of the barbarian groups that entered the Roman Empire were in fact coherent ethno-cultural entities. That the period of the “folk wandering” were literally folk wanderings. 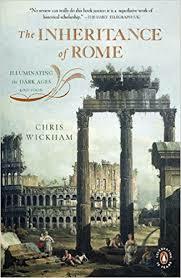 Finally, you can finish up with Chris Wickham’s The Inheritance of Rome: Illuminating the Dark Ages 400-1000. As a complement, one might check out Hugh Kennedy’s two books on the early history of Islam, The Great Arab Conquests: How the Spread of Islam Changed the World We Live In and When Baghdad Ruled the Muslim World: The Rise and Fall of Islam’s Greatest Dynasty. Kennedy doesn’t present a revisionist view, but that’s OK. Sometimes you need the null model. Like neutral theory. A comment below inquired about “good books” on American history. 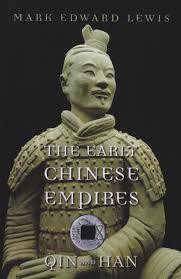 Unfortunately I don’t know as much about American history as I do about Roman or Chinese history. But over the years there have been several books which I find to have been very value-add in terms of understanding where we are now. In other words, these are works which operate with a broader theoretical framework, and aren’t just a telescope putting a spotlight on a sequence of facts. – Albion’s Seed. I read this in 2004, and it was a page turner. – The Cousins’ Wars. 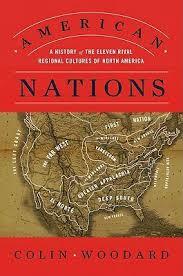 I had thought of Kevin Phillips as a political writer, but this was a very engaging and deep cultural history. My prejudice resulted in my not reading this until 2009. – What Hath God Wrought. This book focuses on the resistance of the Whigs and Greater New England to the cultural ascendancy of the Democrats and their “big-tent” coalition which included most of the South, the Mid-Atlantic, and much of the “Lower North” (e.g., the “butternut” regions of the Midwest settled from the Border South). – The Rise of American Democracy. This is a good compliment to the previous book, in that it takes the “other side,” that of the Democrats. In many ways this is the heir to Arthur Schlesinger’s Age of Jackson. – Throes of Democracy. A somewhat “chattier” book than the previous ones, it is still an informative read. It covers a period of history with the Civil War as its hinge, and so gives one the tail end of the Age of Sectionalism. – Freedom Just Around the Corner. 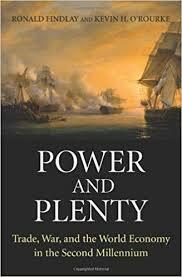 By the same author, but covering a period of history overlapping more with Albion’s Seed. – The Age of Lincoln. This is not a “Civil War book.” It is of broader scope, though since the the war is right in the middle of the period which the book covers it gets some treatment. I’d judge this the “easiest” read so far of the list. – Replenishing the Earth. This is about the Anglo world more generally, but it is nice to plug in America into a more general framework. North America is not sui generis. – The English Civil War. This is obviously not focused on America, but it is a nice complement to Albion’s Seed, as it shows the very deep roots of the division between two of America’s folkways. The Cousins’ Wars serves as a bridge between the two, shifting as it does between both shores of the Atlantic. I’m game for recommendations! I had a relatively traditional education in American history, and did very well in my advanced courses, but I knew very little before I read books like this.